Offices get gross, more so than you might expect at first glance. Think about how many employees spend at least 40 hours a week in a small office space, and then consider how much bacteria and dirt gets tracked through a small office by those working there. Curiously, office absenteeism can drop by as much as 46% when the workspace is regularly cleaned. Here are some reasons why your employees are showing up more and working harder after finding a maid service for your space. Get a bunch of people together in an office and you have a breeding ground for all kinds of bacteria and viruses. 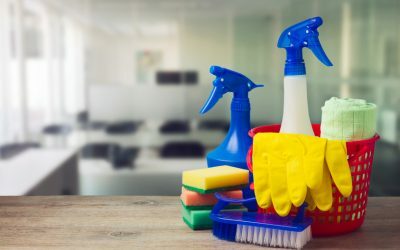 If the seasonal flu or common cold seems to be spreading through your office like wildfire, then you’ll be happy to know that one of the benefits of hiring a maid is a huge reduction in the probability of spreading illness. A cleaner office is a healthy office, and fewer sick days means more productivity. Sneezing, itchiness, watery eyes, and allergy medication that makes you drowsy creates a recipe for an unproductive day. Did you know that studies have shown dust exposure negatively affects cognitive function by a whole 2-6%? If loads of dust and allergens in your office’s air are irritating employees, you’ll find that productivity drops very quickly, and everyone’s mood drops accordingly. An experienced maid service knows the best strategies to clear out air irritants and uses gentle cleaning products that won’t introduce more irritants. A clean workspace creates a better sense of professionalism and poise. Do you feel more successful smelling musty carpet while you work or the lemony scent of freshly wiped down desks? Scent and visual perception have a huge impact on our self-image and that of other people and places around us. Bonus: Office visitors get a better sense of your professionalism when they step into a clean space. Lastly, understand that a freshly cleaned and well-kept office simply creates a more welcoming workspace for your employees. Cleaning a space where they devote much of their time and energy to supporting the companies conveys an appreciation for their hard work and a concern for their well-being. Finding a maid service is a fast and worthwhile way to show employee appreciation. Even if a long-term cleaning arrangement isn’t in your budget, one-time same-day maid services can be a quick fix for office blues.